I had to pinch myself when my plane officially landed in Siem Reap. 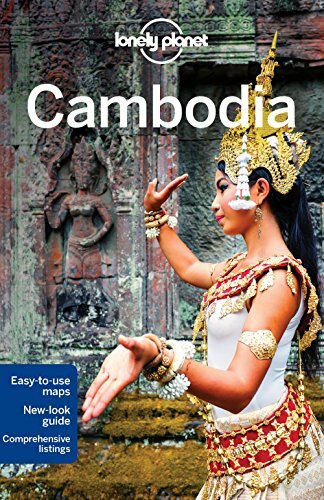 I had already spent almost two weeks in Asia, exploring both Hong Kong and Thailand … but Cambodia? It was a dream come true for me. 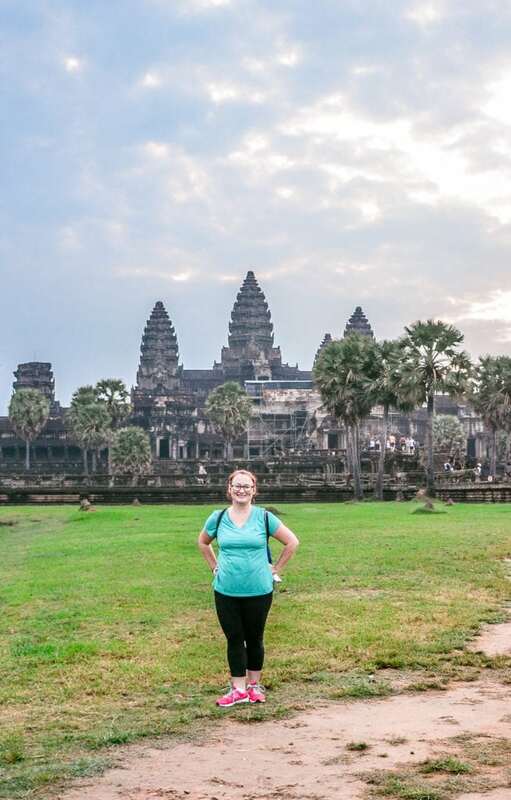 Angkor Wat was at the top of my bucket list, and just being in its vicinity was life-changing. 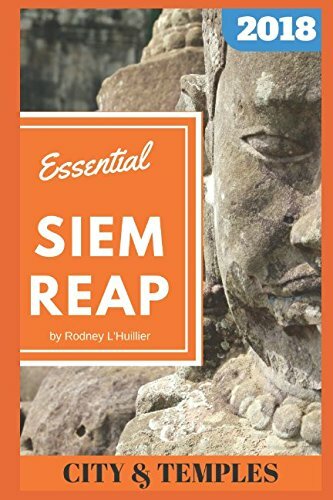 A friendly tuk-tuk driver met my friend and I at the Siem Reap airport, and almost instantly we were swept away into a destination that’s virtually indescribable. The title of this post isn’t at all misleading. Angkor Wat was everything I imagined and more. I knew before traveling that I was in for something incredible. But when my eyes finally laid on the holy site at sunrise, I was simply blown away. Words and pictures cannot describe the experience. Every guidebook and website will tell you that the best views of Angkor Wat are at sunrise, so that’s exactly when planned our first visit. We arranged a tuk-tuk driver from our hotel to take us around the temples of Angkor, and were surprised (in the best way possible) that it was less than $20 for the entire day. 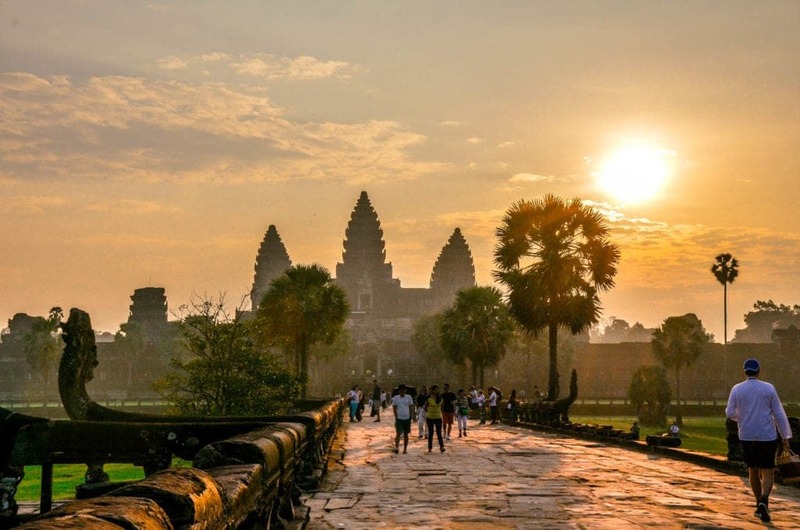 I can’t remember what time we left the hotel that morning, but it had to be around 4:00 am… it wasn’t until the sun began to rise, around 6:15 am, that I understood why Angkor Wat was a world wonder. Every penny, every mile, every minute of lost sleep was worth this moment. 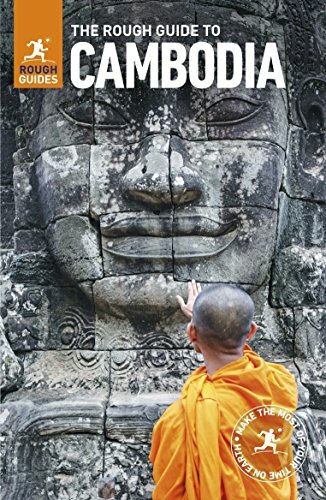 When you visit Angkor Wat, it’s important to know that it’s more than just one temple. The admission is currently $37 a day with 3-day and 7-day passes available. For Cambodia, that might seem like a lot, but I promise the price is justified (for comparison, have you seen the prices to enter Disney World for the day?). 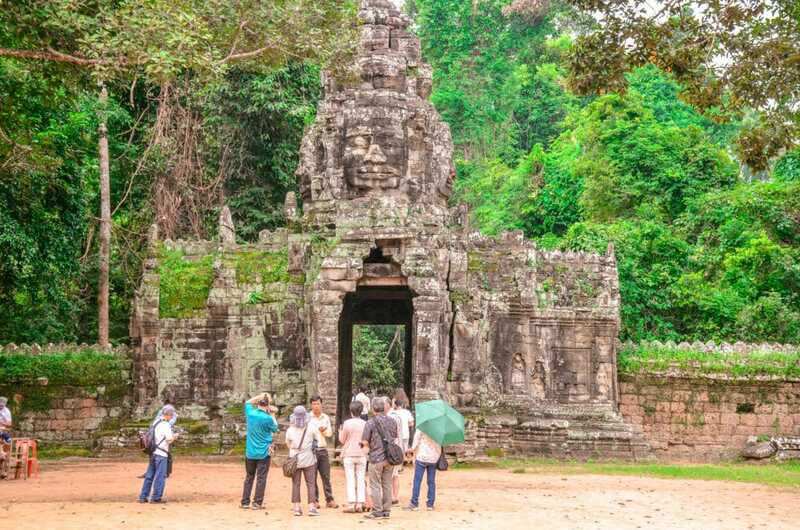 Your entry fee allows you to visit the Angkor Archaeological Park, which includes Angkor Wat, Angkor Thom, and Ta Prohm, as well as many others. You can’t see all of the temples in one day, so plan multiple days to explore. What amazed me the most was how every nook and cranny at Angkor told a story. The details carved into stone are unbelievable, especially when you realize the scope of the site. I would be writing all day to share just a tiny piece of the park’s history. The entire site encompasses more than 50 Buddhist and Hindu temple in various states of repair dating back to the 12th century. 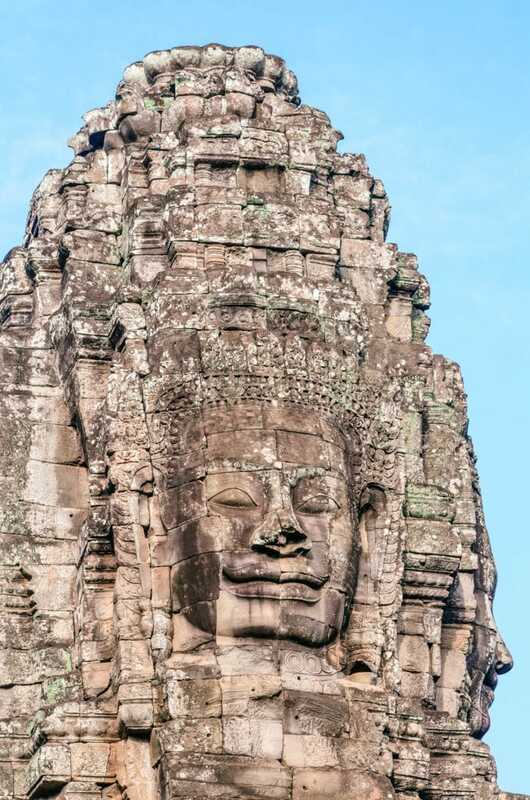 My favorite was Bayon temple with 216 stone faces. 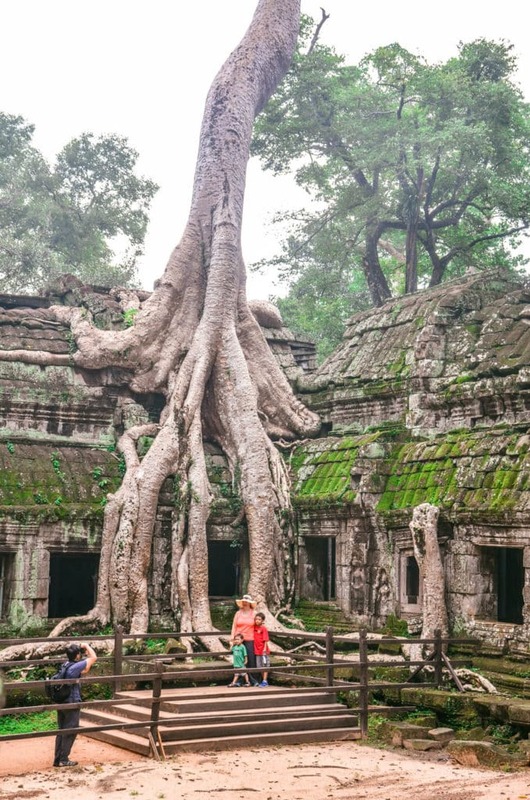 A close second would be Ta Prohm, also known as the “Tomb Raider temple”. Breathtaking doesn’t even begin to describe the temples and surrounding grounds at Angkor. 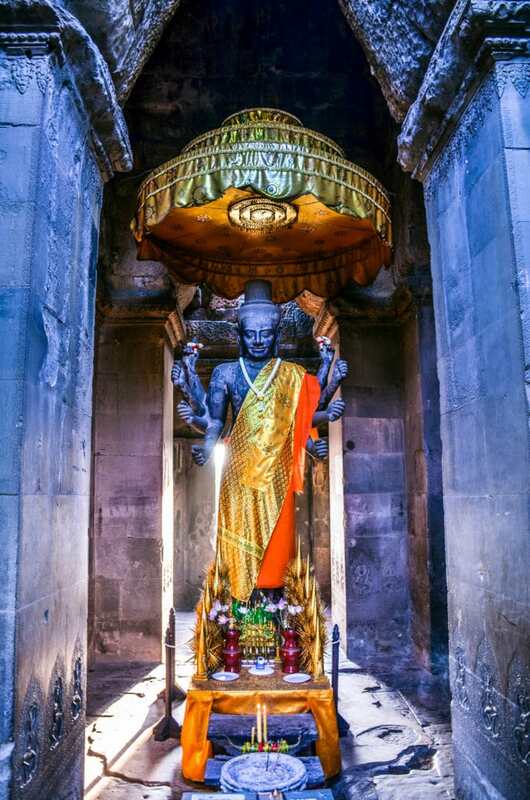 To this day, the temples in Siem Reap are one of my greatest travel memories. My dream is to one day return with my husband and daughter. Incredible sites like Angkor Wat and Angkor Thom should be cherished and shared with the ones you love most. 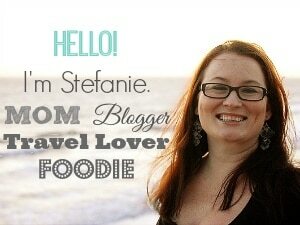 I stayed at Lotus Blanc in Siem Reap and was more than pleased with the accommodations. The price was fantastic and included tuk-tuk service to and from the airport in Siem Reap as well as daily breakfast. The cost for a tuk-tuk to Pub Street (where all the bars and restaurants are located) was $2. I would absolutely stay here again on a return visit. 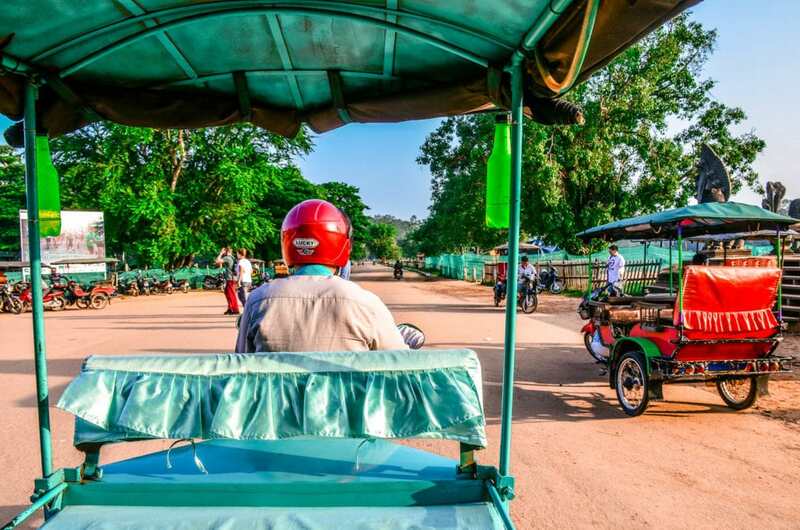 Absolutely arrange for a tuk-tuk driver to take you around the temples in Siem Reap. This should be around $20 for the day, but this service doesn’t include a guide. Stop for bottled water in advance so you always have it when you need it. 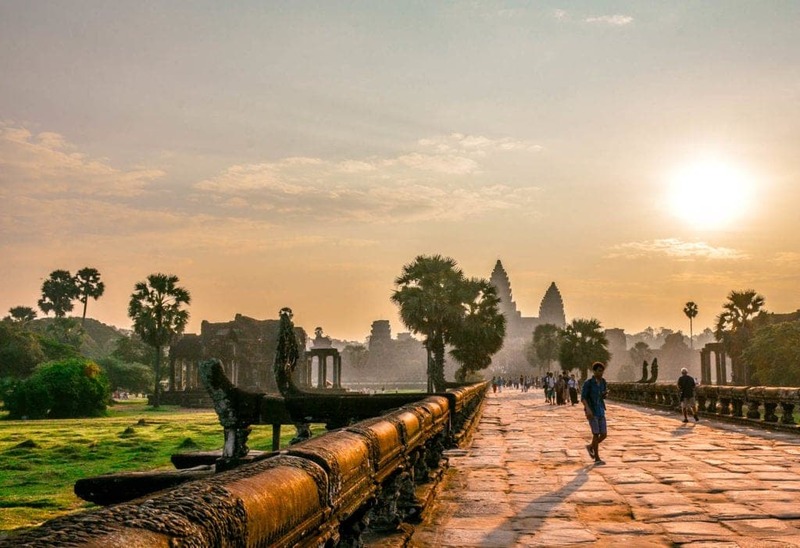 Cambodia is hot and humid and you will want to stay hydrated. The same goes for snacks. You will find stands with water and souvenirs, so bring a little cash just in case. (Yes, Cambodia accepts U.S. dollars!). Wear proper attire, this includes hiking or tennis shoes and modest clothing. Remember you’re visiting religious temples and the dress code should be respected. If you wear a take top, make sure to bring along a scarf to cover up. Don’t forget sunscreen, a hat, and sunglasses! The heat in Cambodia is relentless. Don’t overdo it on the first day! 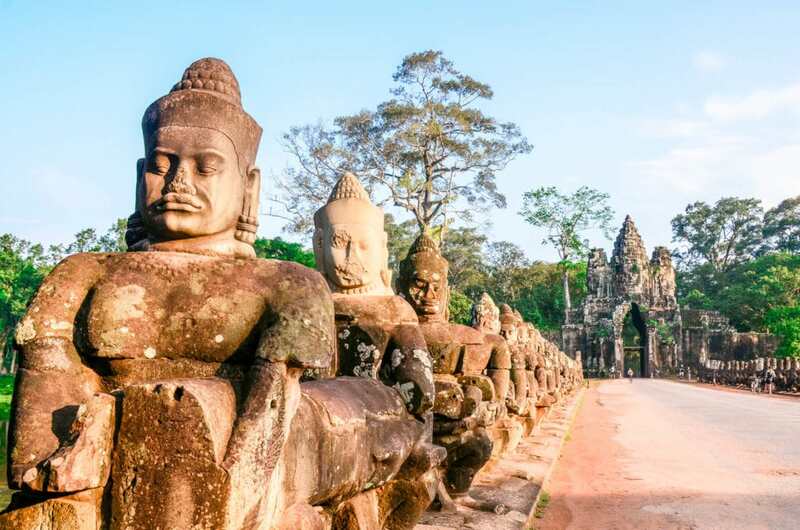 If you can, buy at least a 3-day Angkor Archaeological Park pass— this allows you to enter on any three days in one week, so it doesn’t have to be consecutive. Temple fatigue is real; take your time and live in the moment....there’s no place in the world like Angkor! Stay away from the monkeys! 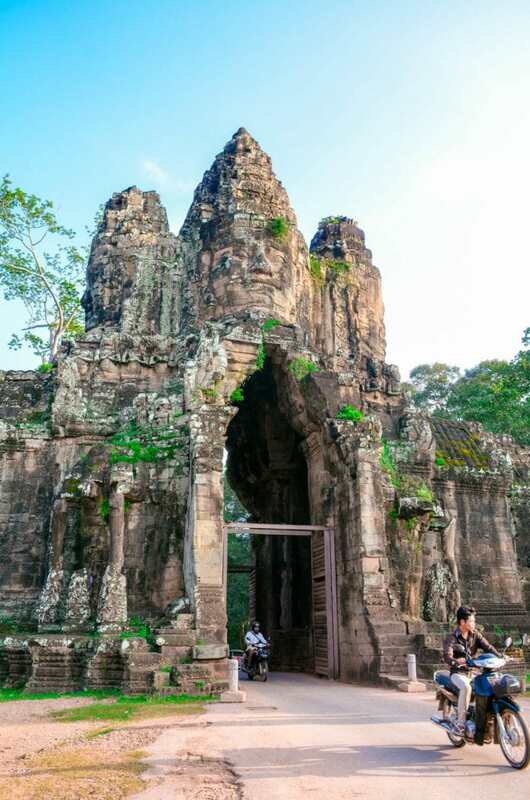 I never had a fear of monkeys until I visited Angkor Thom and watched a monkey jump up and bite a baby. Now I keep an even greater distance when I take photos of the monkeys. Great article! 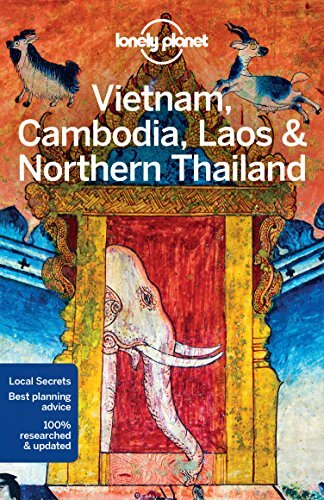 Cambodia is a wonderful country with so many interesting places to visit.